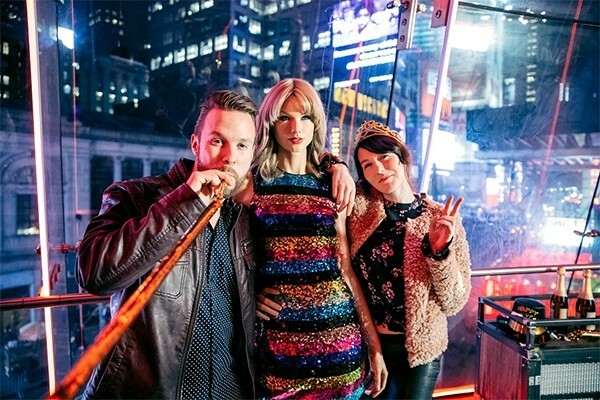 Get your selfie sticks ready. 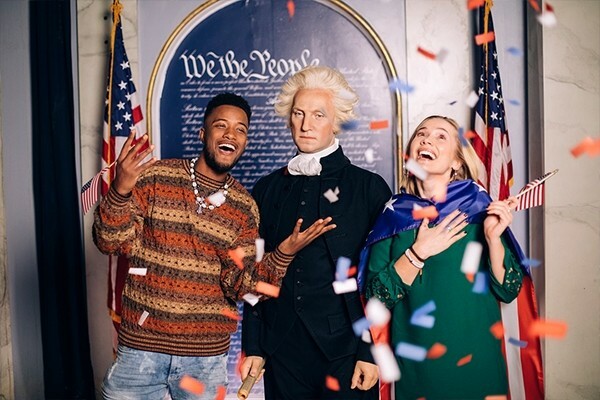 Madame Tussauds New York in the heart of Times Square is the only place with no ropes or barriers holding you back from your favorite stars. 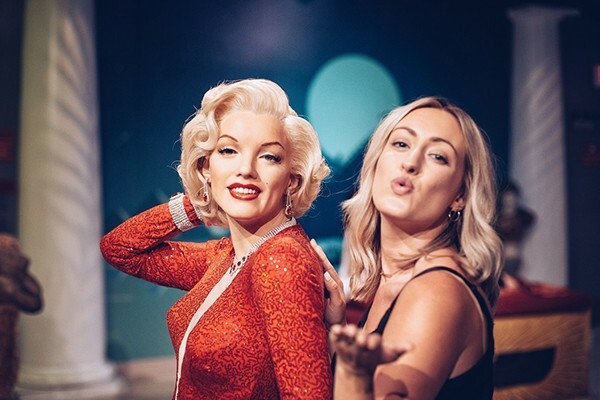 Voted as one of New York’s most unique attractions, Madame Tussauds invites you to pose “in a moment in time” with the world’s most iconic musicians, A-list stars, sports legends, world leaders and more. 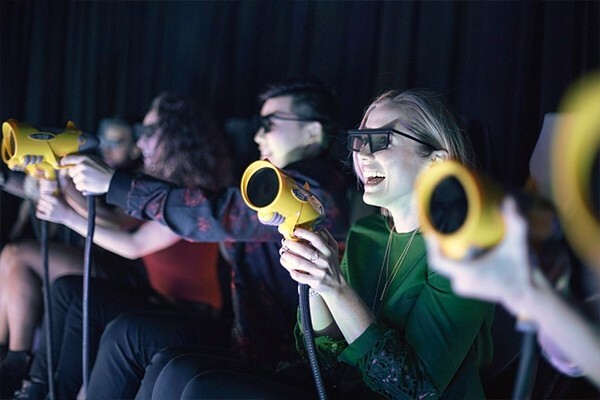 With over 85,000 square feet of interactive entertainment, including our Mission: Undead and Marvel Super Heroes 4D Experience, the world famous wax attraction is bigger and better than ever. Snap! Flash! Get past the sea of cameras and make a grand entrance to the star studded Opening Night Party. Rub shoulders with award winners like Angelina Jolie, George Clooney and more. 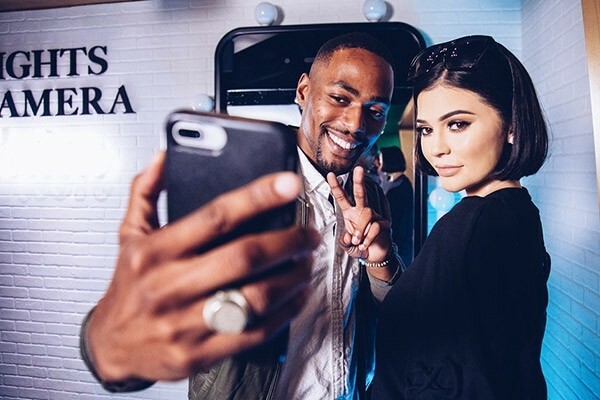 Get the latest gossip and strike a pose while you mix and mingle with the world’s most famous A-list stars. Lights! Camera! Action! Dazzle alongside Marilyn Monroe, Act as Bruce Willis’ stunt double or hope on a bike to take E.T. home. From classic films of the golden age to heart stopping blockbusters, re-enact the cinema’s most memorable moments! Choose your dream role on set with TV’s biggest stars! Pose next to Sofia Vergara and unleash your inner comedian as Lucille Ball’s sidekick. Report live with Anderson Cooper before getting comfy on Oprah’s couch for an in-depth interview. It’s primetime to make television history! Take a lesson from some of the greatest intellectuals in history! Study E=MC2 with Einstein, let Maya Angelou inspire you and explore your abstract side with Salvador Dalí. It’s your chance to shape history with the greats! The world’s greatest leaders and influential figures await your arrival at The Gallery! Before rewriting history, take a few moments to rub elbows with the historical guests such as George Washington, Princess Diana, Nelson Mandela, President Obama and President Trump. Madame Tussauds New York and Legendary Pictures announced that they have partnered to bring a larger than life Kong: Skull Island experience to the iconic Times Square attraction. Visitors can expect to walk into a tropical adventure as they step into the environment of the infamous Skull Island. Once inside, they will be joined by an all new figure of Captain James Conrad (Tom Hiddleston) as they begin their epic adventure! Step inside the top secret command center to unlock your powers alongside the Hulk, Spider Man, Thor and more. Pass their tests and advance to the thrilling finale, the Marvel Super Heroes Cinema 4D Film Experience. *Please note, this is an add-on and is available as part of the Super Hero ticket package for an added fee at the attraction. 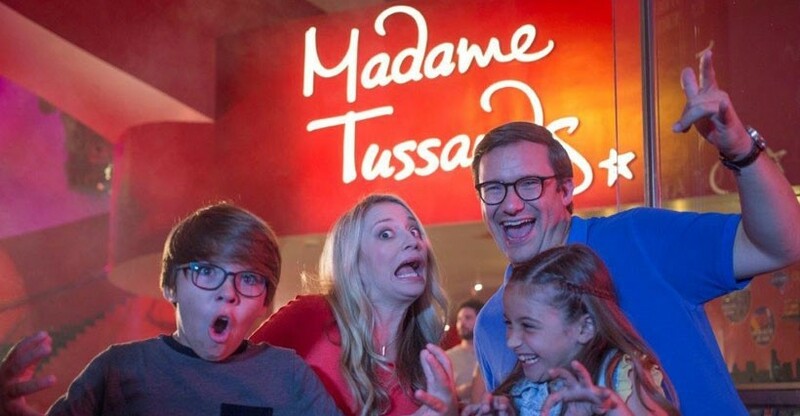 Celebrate the extraordinary legacy of Madame Tussaud in an interactive exhibit that uncovers the secrets of her realistic artistry and at time, dark history. Go behind the scenes to learn about the fascinating and complex creation of our lifelike wax figures, using methods that hardly differ from those used by Madam Tussaud herself! Score! Challenge Carmelo Anthony on the court, box with Evander Holyfield, pitch to Derek Jeter or call a play with Eli Manning in Sports Zone. See how you measure up to some of the biggest legends in sports history! Take center stage in the immersive Music Zone. Drop beats with Diddy, belt it out with Katy Perry and go Gaga under the bright lights. Join today’s hottest artist for an unforgettable performance in the heart of Times Square! Our new Sabor Latino Experience is now open! Only until the end of 2017 we are turning up the heat with a whole lot of sizzling Latin Flavor! 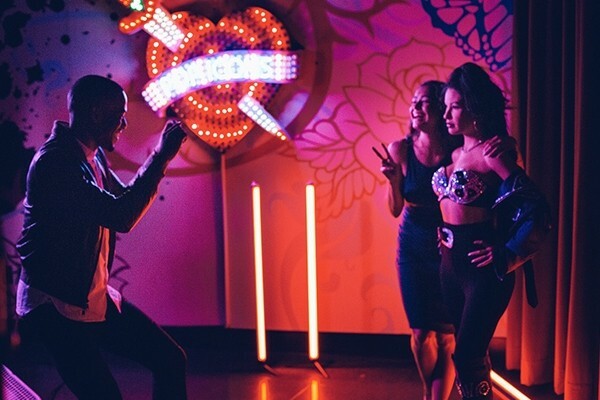 Meet your favorite Latin stars, Romeo Santos, Ricky Martin, Selena Quintanilla, and Selena Gomez, in our newly renovated posh night club room! Swing your hips, sip those drinks and feel the heat while dancing and taking selfies with some of your favorite popstars! This pulse-pounding night club will have you “Livin La Vida Loca”! It’s time to become a fashionista, stylist and model all in the same day! With our brand new Project Runway experience you can do it all! Feel like you’re a part of the show! Madame Tussauds New York’s all new, imaginative fashion experience welcomes a brand new figure of a famous supermodel, fashion designer and star of Project Runway™, Heidi Klum! As you enter our New York fashion workshop you will be welcomed by the stunning Heidi Klum! Here, guests have the opportunity to interact within the fashion world by using digital touch screen sketchbooks to work like a real designer! Choose from an array of outfits, patterns and styles to create your very own couture look! Towards the End of this fashion journey, new designers will also have the chance to take photos featured on the front cover of Marie Claire™ magazine! Oh, and don’t forget your chance to become a Superstar and walk the hot runway with the paparazzi flashing their cameras at you! IT’S TIME TO WALK THE RUNWAY WITH US!